Steel shipping containers offer the perfect surface for magnets to attract to due to their high level of iron. Generally, there are three types of steel containers – those for transporting goods, converted shipping containers and purpose built stores. Each variation of container has its own merits, but one common characteristic is their ferrous shell, which enables users to apply magnetic solutions to get the maximum performance from their container. At Magnet Expert, we pride ourselves on finding solutions to your day to day tasks and helping you to improve with creative ideas. Through testing our magnets with steel shipping containers, we have discovered several hacks to decrease downtime, improve efficiency and reduce labour. Drilling holes into shipping containers, or even welding units to the steel can add cost, labour time and unwanted holes within the steel walls. The solution is magnets, which provide an instant attraction, can be re-positioned with ease and require a one time cost. 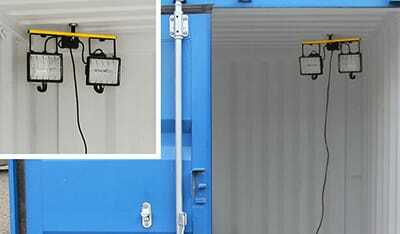 Here are our examples of magnets being applied to steel containers and how they benefit the user. Magnets are used for light fixtures more so than any other steel container application. The F4MB48 Neodymium Pot Magnet creates an instant attraction and is interchangeable to move around the container. It has a pull strength of 84kg which helps it to hold the most robust light fittings. 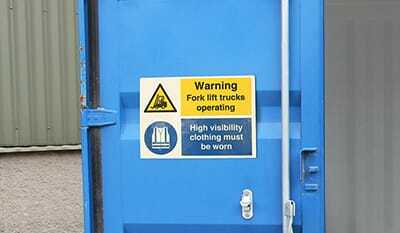 Instantly attach permanent or temporary signage with our MagFlex® range and display important signs that convey safety warnings and operational information to employees and customers. MagFlex® sheets give an instant attraction and can be re-positioned in seconds to get the most from your notice. Creating additional storage can improve working efficiency and reduce risk in the workplace, something Magnet Expert promote daily. Our cable tie magnets are designed to stop any hanging cables or wires laying on the ground or in locations that could cause harm. Create that peace of mind in your workplace with magnetic cable ties. 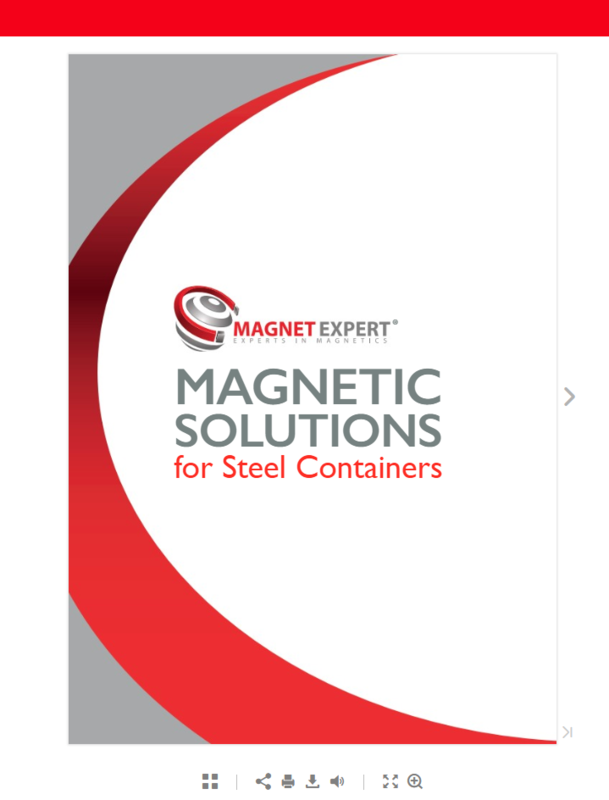 For added convenience to our customers, we have compiled our Magnetic Solutions for Steel Containers into one handy online brochure. Visit the brochure here to find additional information and various other products to improve the effectiveness of your steel container. Download it direct from the brochure too and keep it on-hand around your workplace. If you have any questions regarding our magnetic solutions for steel shipping containers, or to ask about bulk pricing, please contact our Customer Care Team on 0845 519 4701 or email sales@magnetexpert.com. Thank you for reading.